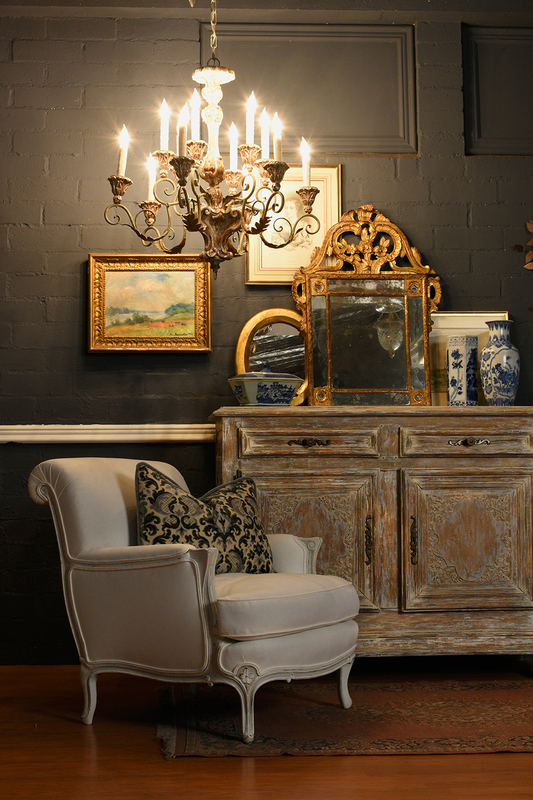 Located in Los Angeles, Castle Antiques Prop House is a furniture and décor dealer catering to the film, TV, photography, home staging, event, and interior design industries. Our collection features unique antique and Mid-Century Modern furniture and home decor pieces. What sets our stunning pieces apart is the attention to detail and the restoration process by our skilled craftsmen. The Castle Antiques inventory is constantly growing and changing, if you don’t see what you’re looking for online, please give us a call and we will be happy to send you pictures of items that we have. Whether your space is indoor or outdoor, such as a film production, concert, product launch party, gala, home staging, convention, fashion show or fashion shoots we have exactly what you are looking for! The majority of our collection is browse-able online, but we suggest stopping by to see our entire inventory. Our showroom is located at 11924 Vose St. North Hollywood CA, 91605. We are open Monday through Friday between 9 am to 5 pm. Our friendly staff is on hand to help you find what you are looking for to complement your next project and carefully pack your order.